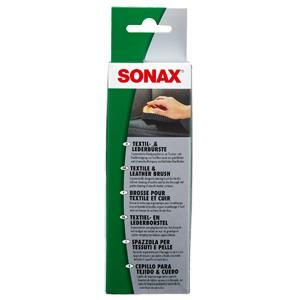 SONAX Textile & Leather Brush is an ergonomic cleaning brush for the dry and wet cleaning of textiles and for the thorough and gentle cleaning of smooth leather surfaces. Ideal for use in combination with the special SONAX upholstery / textile and leather care products. Also works well for Alcantara® material.